China’s judicial system is opaque and arbitrary, but especially so when it comes to the cases of Falun Gong practitioners who are arrested and charged simply for their faith. In October, 76 year-old Falun Gong practitioner Liu Xiyong was called to the Jinzhou District Court in Liaoning Province for the opening session of his trial. The court had told Liu’s daughter a sentencing would not be given just yet. The session ended that day without a verdict. But on Nov. 10, Liu was called to court again. This time, the court handed a notice with his sentence: three years in prison. The document was dated Sept. 19, but Liu did not know of it until he saw the notice in his hands. 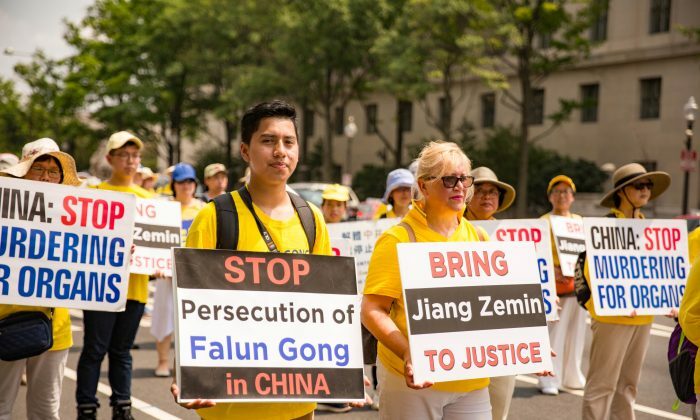 More than 800 Falun Gong practitioners like Liu have been sentenced to prison this year, according to recent statistics released by Minghui.org, a U.S.-based website that tracks the persecution in China, although all such numbers are likely to be low, due to the difficulty of getting information out of China. Falun Gong, also known as Falun Dafa, is an ancient spiritual discipline that was introduced to the public in China in 1992. The discipline consists of slow, meditative exercises and moral teachings based on the principles of truthfulness, compassion, and tolerance. 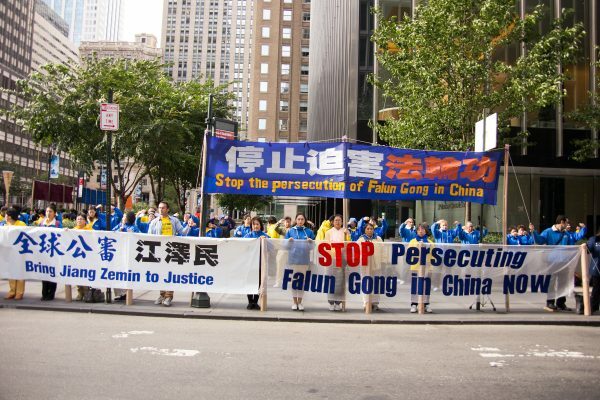 Believing that the popularity of Falun Gong—a state survey in 1999 estimated that there were more than 70 million practitioners, while the practitioners in China said the number was over 100 million—was a threat to the Party’s atheist ideology, former Chinese Communist Party (CCP) leader Jiang Zemin launched a nationwide persecution. Millions have been thrown into prisons, brainwashing centers, and labor camps, with the goal of forcing them to abandon their faith, according to estimates by the official press office for Falun Gong, the Falun Dafa Information Center. This year, 3,659 have been abducted by police, while 7,209 have experienced harassment from local authorities, according to Minghui. The local 610 office, a Gestapo-like Party organization established with the sole purpose of executing the persecution, often works in secrecy with the local “Zhengfa wei,” or Central Political and Legal Affairs Commission, to charge Falun Gong practitioners with vaguely-defined crimes. Under its former head Zhou Yongkang, the commission gained almost unbridled power to arrest, detain, and sentence Falun Gong practitioners. Liaoning, Shandong, Hebei, Heilongjiang, and Jilin Provinces had the most number of sentencings. There are many cases of injustice. Tianjin resident Yang Hong and his wife Jiang Yahui were abducted from their home in March 2015 by nearly two dozen local security forces, according to Minghui.org. 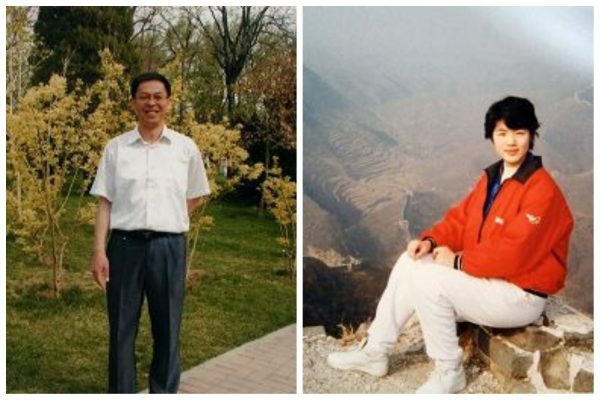 They were illegally detained without trial at the Tianjin Nankai District Detention Center for two and one-half years. In August this year, their family received notice that both were sentenced to six years in prison, without a court-determined verdict. In January 2016, the Nankai District Court had opened a court session for Yang and Jiang, but no sentence was issued at the time. This kind of secret sentencing also happened to Si Deli, an arts professor and Falun Gong practitioner in Henan Province. Local authorities had detained him since March 2016 because he filed a legal complaint with the CCP’s highest prosecuting body, the Supreme People’s Procuratorate, against former CCP leader Jiang Zemin for his crimes committed in persecuting Falun Gong. On June 2016, Si was sentenced to 3.5 years in prison, according to Minghui.org. Si appealed his sentence to a higher court. In August 2017, without a court session, or notifying Si’s lawyer and family, the Xinyang City Middle Court issued a notice saying Si’s original sentencing stands. According to the Procuratorate’s own rules, Si is innocent, as in April 2017, it issued a notice on its website stating that citizens can file complaints against national-level CCP officials. Si’s lawyer told Minghui.org that his sentencing was arranged under the auspices of the local 610 and Central Political and Legal Affairs Commission offices. Si was once detained for 12 years, where he was often beaten with electric batons. Gao Jing contributed to this report.